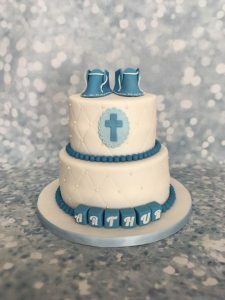 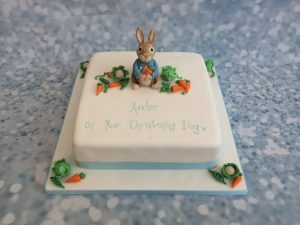 A simple and pretty religious/ Christening cake to celebrate. 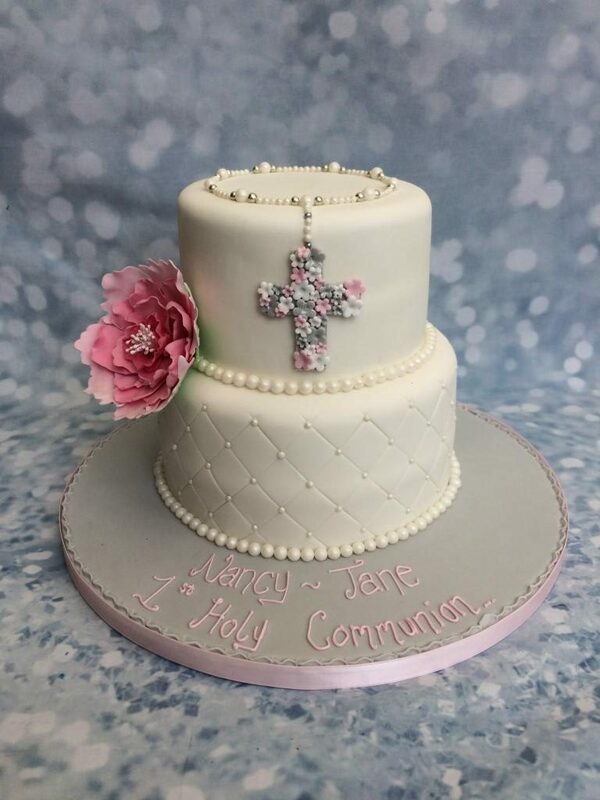 This cake is a deep tier 6″ & 8″ round with a handmade flower and rosary. 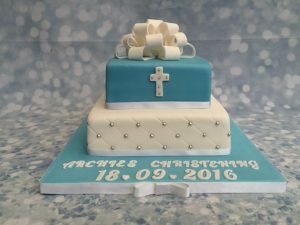 The bottom tier has a gorgeous quilted effected which is embellished by edible pearls. 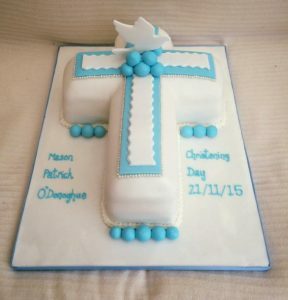 Colours and sizes can be changed upon request.